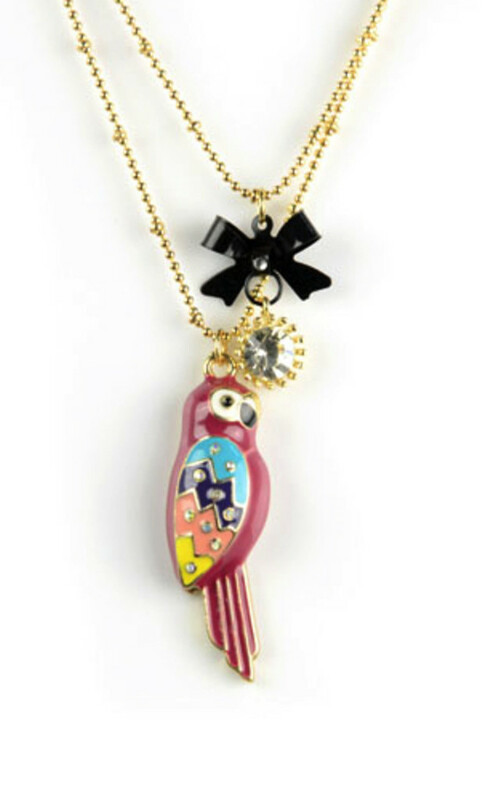 Super kitsch necklace featuring a parrot charm. Measures approx 40cm drop. Fully adjustable.